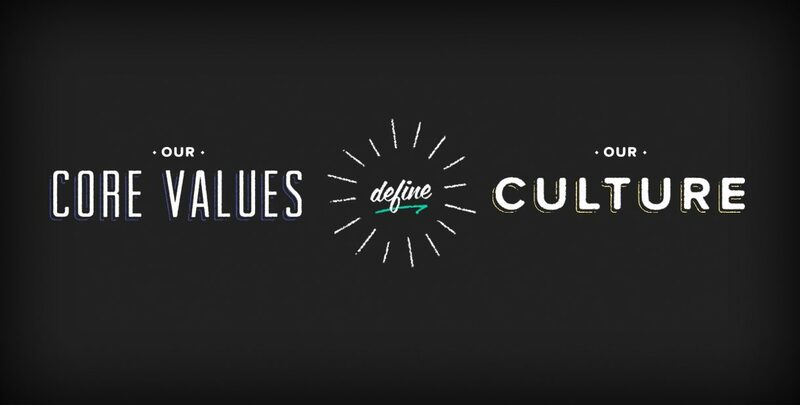 How these 3 core values led us to where we are today. We all had our humble beginnings, and IME is no different. We started off as a CNC and machine tools & repair center back in the 1980s. 10 years later, we started distributing CAD, CAM & CAE solutions such as SOLIDWORKS, MASTERCAM and CATIA. Fast forward to-date, we’ve expanded our offerings into 3D printing, engineering consultancy and services. We are now a full-fledged engineering solution company with footprints nationwide as well as the adjoining ASEAN countries. Throughout this journey of growth, we’ve stumbled upon many obstacles & challenges. Some were minor and resulted in nothing more than a bit of wasted time. Others cost us dearly in productivity and oozed toxicity into our culture, taking months to recover from. Today we’re sharing the 3 core values that we hold dearly in IME that made us persevere throughout these years. 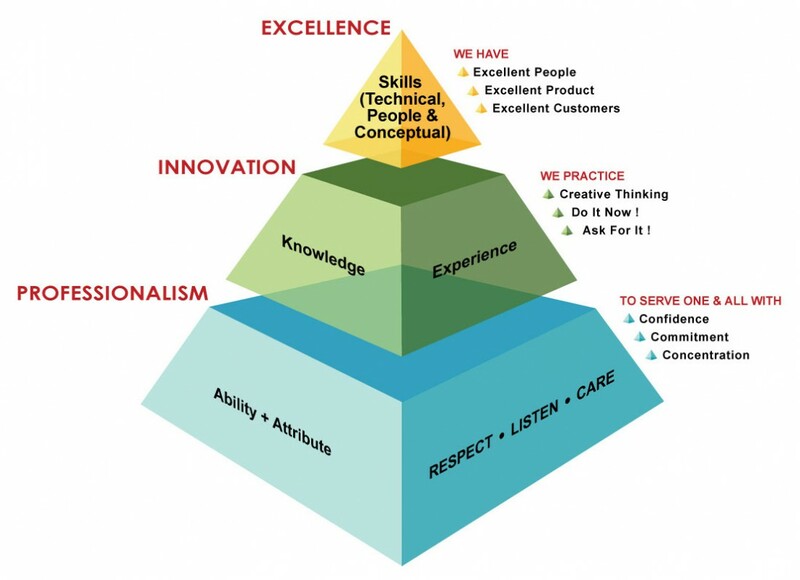 Respecting people – especially your peers & customers is about acknowledging their opinions. We know this sounds awkward especially it comes to our journey of growth. We know that respecting people has been mentioned many times even by other companies. Still, we think it’s important to highlight this out as this has been the very foundation of what led us to where we are. It is about respecting your peers putting in the extra hours to make things perfect. It’s about respecting your customers that they know more about their industry than you. It is about respecting this process of value exchange. Most of all, it’s even more important to acknowledge that through this culture, we’re building up a trustworthy and reliable team which can help each of us to propel further. And this led us to our very next point. The idea is to understand their needs first before you explain what you want. Throughout our years of growth, we’ve been sticking with this principle without any second thoughts. Coming from an engineering background, it has always been our principle to fully understand customers’ requirements before we propose any solution. After all, it makes sense as engineering solution requires a precise solution. We have a dedicated session that discusses 7 habits to all new hires. But we found that the very same mindset had helped us in growing people internally. Years ago, IMEzens voiced out that they hope to see more of these sessions as they found it beneficial. We listened and we started a few sessions. Today, we’re having scheduled product sharing and even soft skill sessions such as Toastmasters! Over the years, we’ve seen massive transformations such as introverts winning Toastmasters Championship, the ever-lasting friendships created through these sessions and much more. All these are invaluable experiences which shape their lives and potentially, life-changing. This wouldn’t have happened if we didn’t listen to the voices of IMEzens, and we’re glad we did. It means caring about our peoples’ well-being. It means caring about our customers’ businesses and how we can grow with them. Fundamentally, it means creating a meaningful relationship with the people we meet. These are just some of the testimonials that we got from our customers that we’ve worked closely with. Many people run their companies based on business intuition but there aren’t many companies which treat people genuinely with their heart. At the end of the day, what we believe is that we’re dealing with people and we need to care genuinely about them and their vested interest. Over the years, this “care” became our competitive edge and it forms the very foundation of how we treat our customers and employees, we’ve even gotten feedback from our clients saying other companies wouldn’t go that far for them. When you lay down strong fundamental values that tie everyone’s beliefs, you will create a community that strives towards a common goal. In case you’ve been wondering what IMEzen stands for, it means IME citizen. Our founder – Mr. Teoh have always wanted to create an IME city which houses a full suite of manufacturing solution. He calls it the “Manufacturing TechnoHub”. It has been communicated so frequently to everyone in the company that someone started using the term IME-zen in the presentation. Yup, and that’s how IMEzen was born. It is a community that was born out of care, trust, and bonds that were built based on the 3 core values. We were recognized as the Top 100 Fast Moving Companies under SME100 Awards back in 2015. And most recently in Nov 2016, we were awarded Sin Chew Digital & Technology Business Excellence Award. While we were grateful in winning awards, it’s more important to highlight that these are only made possible due to IMEzens’ effort and hard work. Nothing makes us happier than the talents in IME being recognized as the cream of the crop within the industry. We believe that the foundation of these successes is only possible when you have a group of people working towards a common goal. And to gather like-minded people, you will need to create a similar set of values and beliefs – Respect. Listen. Care. While this is just part of our milestone (we think so!) we believe that we still have a lot more to do. Big dreams like “Manufacturing TechnoHub”, upskilling the local engineering community, pioneering industry 4.0 are still not being realized. And we won’t stop until we’re done. Industry 4.0 : Are You Ready? Highlights of the Amazing 2017! IME carries more than 25 international leading brand solutions. Coupled with home-grown experienced and qualified engineers, IME aims to provide tailored solutions that help our partners to grow. © 2017 IME. All Rights Reserved.